Compared to other industries, healthcare has been "inherently conservative and slow" to embrace innovations such as the cloud and the Internet of Things -- but that&apos;s changing. Innovative tech products and services are making it harder for healthcare providers to ignore the potential benefits of connected medical devices and the IoMT, according to Ian Shakil, CEO of Augmedix. "We&apos;re seeing this firsthand, as major healthcare systems -- including Sutter Health, Dignity Health, CHI and TriHealth -- scale Augmedix&apos;s service across their organizations with a mission to rehumanize the doctor-patient relationship," he told TechNewsWorld. Although the over-65 population will continue to drive up healthcare costs, new support for aging in place and efforts to shorten hospital stays could alleviate that strain. However, that&apos;s dependent on device manufacturers and software developers getting the customer experience right for both patients and providers, suggested Virtual Health CEO Adam Sabloff. 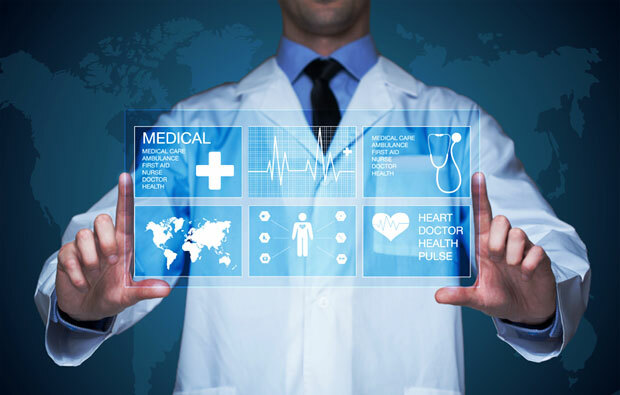 The valuable data rendered from connected medical devices, "such as wearables that monitor blood pressure and other vitals, is relatively useless if never presented to a patient&apos;s care team in an easy to read, actionable manner," he told TechNewsWorld. "This is where innovative end-to-end solutions come into play." Virtual Health maintains a cloud-based platform that aggregates and integrates data from a range of sources and formats to give care teams "a 360-degree view of the patient." That allows physicians to "intervene and provide proactive care before a condition manifests or worsens," said Sabloff. "Patients will truly benefit from the IoMT only when end-to-end solutions are fully leveraged to help clinicians access and act on valuable data provided by wearables and other remote monitoring tools," he added. Mobility and data management are key to the IoMT&apos;s success, according to Keith Cooper, CEO of Constant Therapy. "When medical care or therapy is untethered from a face-to-face office visit, patients can receive more and consistent care on any day in any place," he told TechNewsWorld. Constant Therapy&apos;s tools for brain rehab offer users five times more speech and cognitive therapy than conventional approaches, the company&apos;s internal studies concluded. As for data and analytics, the company&apos;s digitization of cognitive therapy delivery has made information about a patient&apos;s strengths and deficits "instantly available and clearly understandable." "Freshness includes features that enable patients to share and get new insights from their data, get remote support from a care team, and even incentives that can keep them coming back for more," de Haaff told TechNewsWorld. "The keys to success are a clearly defined use case," Cook told TechNewsWorld, "and goals that are agreed upon by all the stakeholders."